Food Glorious Food is a weekly podcast about food, drinks, and restaurants in Vancouver. From opening to closures, food challenges, and more, we’ll be talking about it every week. 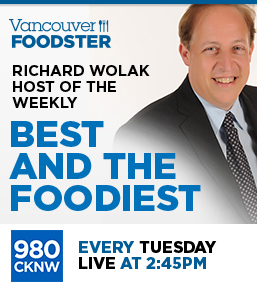 Hosted by Vancouver Foodsters Richard Wolak & Zahra Alani. We talk about a new burger launched at White Spot, plus the Culinary Capers Catering Spring Menu launch, a restaurant feature on Il Posto, an Interview with Chef Evan Elman, a restaurant feature on Jarrito Logo Tacos; and new restaurant Ham & Eggman’s. We feature an interview with Chef Manos Grammatikogiannis of Nammos Estiatorio talking Greek cuisine, Upcoming Foodie Events, we feature an interview with Bar Manager Lucas of Nammos Estiatorio, Spring Menu at YEW Restaurant at Four Seasons, wine feature with Zahra, White Asparagus menu at Bauhaus, we feature Salsas by Marcela, we also feature an interview with Chef & Author Ernest Quansah, lastly we talk about a new cafe, C Market Coffee. We do a restaurant feature on Banh Mi Tres Bon and an interview with Owner/Chef Lan Do, we do a Travel Eats feature on Victoria and the Delta Ocean Pointe Resort, 10 Acres Commons, Olo Restaurant, Floyds Diner, Marina Restaurant, Saveur Restaurant, Lure Restaurant, and Afternoon Tea feature on Pendray Tea House in Victoria. We also talk about the Chinese Restaurant Awards and the winners, we talk about one New Restaurant and our dining experience at Guu Izakaya with an interview with their Head Chef Jeff Insorio; lastly we talk about the Vancouver Pizza Challenge. In our Baker series we have an Interview with Leah Markovitch of Solly’s Bagelry, we talk about the Vancouver Cookie Challenge, an Interview with Mark Medalla of Firecrust Neapolitan Pizzeria, New Menu feature at Fayuca, interview with Rick D’Aurizio of La Grotta Del Formaggio about Avocado Oil, recap of the Healthy Chef competition, we also talk about a musical ‘Hot Brown Honey’, lastly we talk about a new bakery, Delish Gluten Free. We talk about a Brunch feature at Trattoria, the Vancouver Curry Challenge, Pizza making at Rocky Mountain Flatbread, the BC Seafood Festival, Woodford Reserve Whiskey and the dinner that featured Chef Kiran Kolathodan at the Rosewood Hotel Georgia, we also talk about a new cafe Eclettico Art & Coffee, lastly we talk about Purim with an Interview with Jacob Wolak and we taste Hamantaschen from Solly’s Bagelry. We talk to Chef Marco Cornale in our Baker Series at Fratelli Bakery, we also talk about some Restaurant closures, Upcoming Foodie Events, Interview with Rick D’Aurizio of La Grotta Del Formaggio, plus New Restaurants featuring Billy Button Dessert Bar, 75 West Grill, and Haidilao Restaurant; lastly we talk about some Bakeries in the East Village neighborhood. We talk to Chef Peter Fong in our Baker Series at Ganache Patisserie, we also talk about some Restaurant closures, Upcoming Foodie Events, a Restaurant feature on the Chefs Tasting Menu at Bauhaus, we also talked about some New Restaurants including Tasty Indian Bistro, Scratch Kitchen, and Unchai Restaurant. We talk Culinary News, then a feature on Challah, a Restaurant feature on Spicy6, and a feature on Bicuits, then another Restaurant feature on Kabsa House, and we talk New Restaurants featuring Dalina Fine Foods, The Bench Bakehouse, TonTon Sushi, and Mordimi Bite of Italy. We feature a Baker series interview with Chef Cheryl Low at Half Baked Cookie Co., we do a Ramen feature on some favourites around the city including Benkei Ramen, Gyo-Para, Jinya Ramen and Ramen Gogiro; we talk about the Vancouver Crazy Fries challenge, some Upcoming Foodie Events and in New Restaurants we talk about Eggspectation. We talk about our Cafe spotlight on ZenQ, a restaurant feature on Davie Dosa Co, New Dishes feature at Mangia Cucina, Gyo Para, Samsoonie Noodle & Rice, and Dinesty Dumpling House; plus Travel Eats feature on the Tulalip Resort Casino; Upcoming Foodie Events, and New Restarants featuring Usagi Sweets, Dachi, and Dinesty Dumpling House. We talk about our Cafe spotlight on Storm City Coffee, a feature on BCD Academy and Hugo’s Mexican Kitchen, a feature on a play at The Cultch, New Westminster restaurant feature on Bruncheria Cafe, plus New Restaurants featuring Pacific Poke, Livia, Kinara Indian Cuisine and CoM Vietnamese. We talk about our feature restaurant Thai New West, in our Travel Eats feature we talk about Carbón Cabrón in Mexico along with an interview; we talk about the Beauty and the Beast themed Afternoon Tea at Trump Champagne Lounge with an interview with Pastry Chef Fumiko Moreton. We also talk about the Vancouver Coffee Drink Challenge and the Vancouver Soup Festival. In our New restaurants feature we talk about Verre; lastly we talk about Restaurants and cafes opening over next couple months. We talk about our Cafe Spotlight which is on BlueHouse Market & Cafe, Hot Pot feature at The Dolar Hot Shop, New dishes feature at Mumbai Local, Vancouver Coffee Drink Challenge, Vancouver Soup Festival, Upcoming Foodie Events, Granville Island Dine Out Fest Preview, Comfort Food feature on Gyo-Para Ramen, and we talk about some New Restaurants Donnellan’s Chipper, Bonus Bakery Cafe and Ubuntu Canteen. In our End of the Year recap we talk about some of our favourite food and drink experiences, the Line-ups at dessert shops around the city, Upcoming Foodie Events, What just Opened on the restaurant scene, and What’s Opening in 2019 featuring Breweries, Coffee Shops and Restaurants. We talk about our Cafe Spotlight which is on Chance Cafe, in our Comfort Food feature I talked with Ashton Phillips at the Crab Park Chowdery, we have a Restaurant feature on Coast by Glowbal, we talk about some Restaurant Closures, Winter Menu feature on Bacchus Restaurant, we have a Christmas menu feature on TWG Tea Salon, we talk about some New dishes at Cactus Club Cafe, plus we talk about some New Restaurants including Hwaro Korean Restaurant, Soil, Como Taperia, and Papparoti Olympic Village. Lastly Zahra talks about her recent trip to Mexico with some great foodie highlights. We talk about our Cafe Spotlight which is on Sweet Somethings, Christmas Holiday Feature at YEW Restaurant and the Four Seasons Hotel, talk about a new Cookbook —The New Filipino Kitchen, Upcoming Foodie Events, Holiday Drinks from bubbles to cocktails, and a New Chocolate cafe, Koko Monk in Kitsilano. We talk about our Cafe Spotlight which is on Castella Cheesecake, in our new Baker series, we feature an interview with Sam Pero of the Cannoli King and Italia Bakery; we have a Restaurant feature holiday menu preview at YEW Seafood & Bar; in our Upcoming Foodie Events we feature Bacio Rosso, Firecrust Pizzeria, Tasting Plates Holiday Market and Noodle Mania; we do a Restaurant Feature on Mott32; in our New Restaurants spot we feature Mangia Cucina and Sopra Sotto Pizzeria; lastly we do an Industry talk about seafood and Oceanwise with Chef Poyan Danesh of Ocean Mama Seafood. We talk about our Cafe Spotlight which is The Sanctuary Cafe; we do a restaurant feature on The Dolar Shop Hot Pot and Oceanwise; plus Restaurant Closures, Upcoming Foodie Events, and New Restaurants we feature Blaze Pizza. We talk about the Honey Salt cookbook with an interview with Elizabeth Blau, BC Beer Awards recap, restaurant feature on The Rise Eatery, Afternoon Tea feature on Origo Club, and New Restaurants featuring Chewie’s Biscuit Co, Tabom Korean Cuisine and Tacofino Ocho. We talk about our new feature Cafe Spotlight, this week on Angus T Bakery; Feature dining experience on the VCC Chefs Table VCC Culinary Arts we talk about Upcoming Foodie Events; along with New Restaurants featuring the Ugly Dumpling, Caffe La Tana, Elephant Garden Creamery; and we talk about the Vancouver Burger Challenge. We talk about a restaurant feature Glowbal Group Telus Garden, plus the latest Restaurant closures, Upcoming foodie events, and New Restaurants Laurence & Chico Cafe in the Westend and Small Victory Bread + Coffee in South Granville. We talk about some Thanksgiving Ideas poutinerie, Peaked Pies along with some New Restaurants that are opening soon, the Vancouver Pasta Challenge #Pastachallengeyvr and New Restaurants featuring Uno gelato, Milssam Tacorea and Downlow Chicken. We talk about Upcoming Foodie Events BCRFA hall of fame dinner, VCCCulinaryArts chefs table series, tasting plates plus the Vancouver Sushi Roll Challenge #SushiRollChallengeYVR , a Happy Hour promo Glowbal Group and New Restaurants featuring The Italians Kitchen & Bar, Marys on Davie Mumbai Local and Angus T Bakery. We talk about the bodega on main 3rd Anniversary party, restaurant gossip Cibo Trattoria, Pizza Pizza, La TaqueriaYVR, Mamie Taylors the #SangriaChallengeYVR also talked about the New Restaurants Meinhardt Foods, The Sauce Pasta Cafe, Hon’s Wonton House, Their There, and The Garden. We talk about Roaster Central at Espressotec, Upcoming Foodie Events, highlights from Feast of Fields and New Restaurants featuring Pepino’s Spaghetti House, Grain Vegetarian Fare and Our Town Cafe. We talk about our restaurant feature on Tamam, Upcoming Foodie Events SKOOKUM Festival, plus New Restaurants featuring Bombay Kitchen and bar, Bambu, Hon’s Won Ton, Kafka’s Coffee Tea, and Purebread Bakery. We talk about our restaurant feature on Juniper, Restaurant closures, Upcoming Foodie Events tasting plates, plus New Restaurants featuring brewhall, Origo Club, Little Juke and Kokomo. We talk about our Patio series and feature on Joe Fortes, Upcoming Foodie Events, Restaurant feature on John 3:16 Malaysian Delights, Neighborhood feature on Fraserhood, New Restaurants featuring the poke5, bel cafe, beanbanhmi. We talk about our Patio series and feature Provence Marina Upcoming Foodie events Mamie Taylors, tasting plates Restaurant feature on #Fiore annd lastly we talk about our Neighborhood feature on South Granville. We talk about our Patio series and feature tap and barrel #shipyards Craft Brewery feature on Luppolo Brewing Neighborhood feature on Chinatown, lastly we talk about a New Restaurants IZAKAYA Gons dd mau and Cacao 70. We talk about our new Patio series and feature water st cafe Craft Brewery feature on Spinnakers plus Upcoming Foodie Events ItalianDay, tasting plates, GreekDay, Neighborhood feature on Commercial Drive, lastly we talk about a New Restaurant Jos Restaurant in Coal Harbour. We talk about our new Patio series and feature The Teahouse Craft Brewery feature @DageraadBeer restaurant feature Copper Chimney and a Neighborhood feature on Kerrisdale, plus highlights of the Veg Expo lastly we talk about a New Restaurant Nana’s Green Tea. We talk about Craft Brewery feature TwinSails Beer Upcoming Foodie Events, ChefsTableBC, tasting plates, VegExpo and a Neighborhood feature on North Vancouver Lower Lonsdale. We talk about Project CHEF Craft Brewery feature redracer brew recap on BCProduce BC Healthy Chef competition, Upcoming Foodie Events foodtalksca and New Restaurants Sweet Somethings and colette grand cafe. 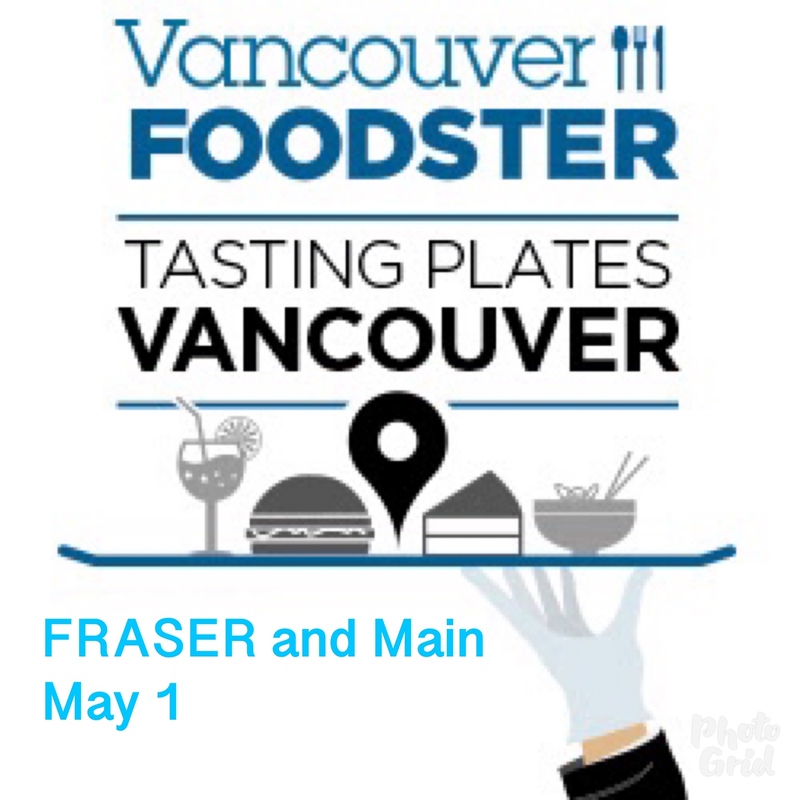 We talk about pica, Craft Brewery feature Mariner Beer Upcoming Foodie Events Pacific Restaurant Supply, tasting plates, winebcdotcom Feature on the Pacific North West Semiahmoo Resort, Chef Bruno Feldeisen and the Vanmag Restaurant Awards finalists. We talk Foodie gossip Chomp Vegan, Au Comptoir, Jewish festival of Purim, restaurant feature on Viet House and Upcoming Foodie events tasting plates and New Restaurants including Kulinarya Filipino Eatery and Barrique Restaurant. We talk about Chef Lien in our Restaurant feature, talked Chinese New Year feasting Peaceful Resto we also talked about places to celebrated Valentines around the city featuring water st cafe, twg tea, Joe Fortes, Jules Bistro, Au Comptoir, Boulevard, Au Comptoir, L’Abartoir, Thaas chocolates, Wildebeest lastly we featured some New Restaurants The Victor, the pie hole, balila hummus, Autostrada. We talk Foodie gossip Blaze Pizza and Upcoming Foodie events hotchocolatefest, #PizzaPaloozaYVR New Restaurants including stem japanese, smoke and bones bbq, aleph eatery, seoul truck street food. We talk about Foodie Gossip, Restaurant feature on Novo Pizzeria Upcoming Foodie events pan pacificvan, the cascade room, tasting plates New Restaurants Superhiros restaurant, dibeppe restaurant, Piva Restaurant We also talked about the Vancouver Coffee Drink Challenge. We talk about Upcoming Foodie events, Restaurant feature 1927 lobbylounge, New Restaurants including Italian Kitchen, Stormcity coffee , Chi Men, Restaurant Yugo, Roots fruits cafe we also did a round-up of new restaurants about to open over the next couple of months. We talk about Upcoming Foodie Events, plus a Dim Sum Restaurant feature 1886 Restaurant and a Restaurant feature on la quercia talking about some Restaurant Closures, and New Restaurants Atlas burnaby, Manoush’eh, spade vancouver, Afghan Kitchen and Panidor Bakery. We talk about Upcoming Foodie Events including Hopscotch News, tasting plates plus a Restaurant feature on their new menu La Mezcaleria and a Brunch feature H2 restaurant. We talk about mak ‘N ming, mangia e scappa, Upcoming Events including tasting plates a Travel Feature on Kingfisher spa, a Restaurant feature on madras spice plus a New Restaurant Mrkt East. We talk about Chef Alex Chen Upcoming Events including foodtalksca, tastingplates, Beanstock Fest, a new Fall Menu restaurant features on Wedgewood hotel plus New Restaurants, HoneySalt, Prospect Point Cafe and aperture coffee. We talk about upcoming events tasting plates, foodtalks, UBC garden plus New Restaurants Bells and whistles, Yuwa Japanese Restaurant and Fresh Window Van. We talk about upcoming events Taste of Yaletown, we talk Thanksgiving ideas featuring the cascade room, Cibo Trattoria, blvdyvr, Railtown Cafe, thaaschocolates plus New Restaurants the pie hole, politos cafe and Nori UBC. We talk about upcoming events turks coffee, Milano Roasters, and a Restaurant feature on the Mid-Autumn Festival Western Lake plus New Restaurants cacao70 official , Railtown Cafe. We talk about H2restaurant with a bartender feature with Dylan Williams, upcoming events TastingPlates, MilanoRoasters, and New Restaurants including Cafe Floret, Tacofino Oasis, lastly we talk about the Vancouver Sandwich Challenge. We talk about Slickity Jims with a restaurant feature, upcoming events, and New Restaurants including pacific poke ubc, maizal, Ignite Pizzeria and Caffe Mira; lastly we talk about the Vancouver Margarita Challenge. We talk about Falconettis some breweries visited this summer Backcountry Brewing, Fieldhouse Brewing, Upcoming Event, VanMarkets , talk about some restaurant closures and featured New Restaurants UI Thai 2, Zenstone Coffee, Bad Dog Bread and The Ellis. We talk about central park farm in Langley, the new brunch menu Joe Fortes, Upcoming Event Feast of Fields and feature New Food Truck comearepavan and New Restaurants orto pasta, L’atelier Patisserie, and Dosanko. We talk about the new summer menu at Coast Restaurant Glowbal Group , and some restaurant closures; plus new local plant based Nora’s Ice Cream; and feature New Restaurants Chickpea, Kokomo and Varadero cafe; lastly we talk about the Vancouver Salad Challenge and some Rose wine suggestions. We talk a new summer menu feature PawnShopYVR , Upcoming Foodie Events, plus a Desserts Food Truck feature Cannoli king, Slavicrolls, sayhellosweets and New Restaurants umaluma gelato. Rhinofish Noodle Bar and Innocent Ice Cream. We feature the new Bauhaus Restaurant Summer Tasting Menu, plus New Restaurants Roys Indian, Buckets IceCream, H2restaurant, Masita Korean Kitchen, TsHome and SugarLab. We talk a food market feature with Richmond Night Market plus, New Restaurants stretch pizza, SL Kitchen and Bar, Lucha Verde. We talk upcoming events featuring ItalianDay, tasting plates plus a wine feature with Cassini Cellars and a restaurant feature on Rocky Mountain Flatbread plus, New Restaurants Assembli, Papparoti and Friendly. We talk wine Vancouver Urban Winery plus a wine feature with liquidity wines and New Restaurants senpadthai, 77kfreeze, mukja korean cuisine and Yui Tapas. We talk Wine with Painted Rock Wine restaurant feature on India Bistro and Cibo Trattoria and New Restaurants fayuca, albuco pizza, whiskeysixbbq, mandalay kitchen. We talk food news VanMarkets, upcoming events at FortBeerFest, tasting plates Wine feature on UVA Vancouver and featured New Restaurants LiftBakery, welcome parlour, Leclairdegenie and La Churreria. We talk restaurant news Milano Roasters, Cibo Trattoria, upcoming events thesaltycookie, windsormeatsyvr Restaurant Brunch feature on bodega on main and featured New Restaurants at jinya ramenbar, welcome parlour and Nemesis Coffee. We talk restaurant news Cibo Trattoria, upcoming events mensch deli, tasting plates and featured New Restaurants Forkhill House, Arbor Vancouver and Prado Cafe. We talk restaurant news at Spacca Napoli, upcoming events at French Gourmands, tasting plates Restaurant Dim Sum feature on Fisherman’s Terrace, and featured moving coffee New brewery/eatery Andina Brewing Co and new restaurant Dazzling Café. We talk restaurant news, upcoming events Hummus Express, Restaurant Brunch feature on TenTenTapas Afternoon Tea at Bay Moorings, and featured New restaurants at masala dobo, shiny tea canada and the Baker and Table Cafe. We talk restaurant news, upcoming events VanDOFL Restaurant feature on Showcase Restaurant and featured New restaurants Jamjar on the drive, Hendricls and Mon Paris. We talk restaurant roundup, restaurant Dim Sum feature on Western Lake and featured New restaurants at Pasture to Plate DolPan Seoul BBQ, Oz Korean Cuisine, and Black Milk Water Cafe. We talk restaurant roundup, featuring some restaurant closures, upcoming events including at myVCC, tasting plates, BC Produce. This week we featured Swad Vancouver and these new restaurants Musette caffe, Midam Richmond and Sulmida Richmond. We talk restaurant roundup, featuring some restaurant closures, upcoming events including Chefs Table BC, tasting plates. 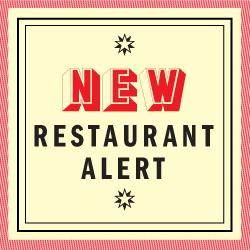 This week we featured these new restaurants the holycrab, Pallet Coffee, be fresh local and West Village Cafe. Our Valentine’s Edition featuring Valentine’s Treats fratelli bakery, Rose Rocksalt, Bon Macaron, karamellercandy, Sollys Bagelry, ganache yaletown, Chez Christophe, Lisa Lous, luckys doughnuts, soirette; Valentine Dinners Au Comptoir, Boulevard. Valentine’s Experiences at secret garden tea, Uva Vancouver, Bodega on main, AiandOm and Valentine’s Cocktails at Boulevard, L’ abattoir, we also talked about upcoming events. We talk restaurant roundup, featuring some restaurant closures, restaurant feature on The Lido, we also talked about upcoming events. This week we featured these new restaurants Railtown Cafe, Punto Pasta and Haru Korean Kitchen. We talk restaurant roundup, featuring CRA Dining Guide, Diners choice awards, as well as some restaurant closures, restaurant feature at bao down snackbar we also talked about upcoming events. This week we featured these new restaurants hearthstone beer, tractor foods, Honolulu Coffee. We talked restaurant roundup, featuring some restaurant closures, restaurant feature Bay Moorings, talked about upcoming events including the Vancouver International Wine Festival. This week we featured these new restaurants mak N ming, Cacao 70 and Bao Bakery! We talk restaurant roundup, featuring some restaurant closures, restaurant feature at NightingaleRest talked about upcoming events at Hummus Express and chef mark singson greasy spoon dinner. We featured at DineOutVanFest restaurants and events! This week we featured these new restaurants at Peaked Pies, Fife bakery, at dosa factory, kofta kitchen. Our Holiday episode! with new Restaurants & cafes including The Apron & Federal Store. We talk the Mexican Chefs Festival, Noodle mania, The Brunch Crawls, Art, Eat & Sip plus all the new places set to open between now & January. This week we talk about a few of Vancouver’s many enterprising chefs including Mark Singson, Juno Kim & Dallah El. We spotlight one of Vancouver’s oldest greasy spoons the Argo café, and Jethro’s Grub open a new location in the West End. This week talk about a new Vancouver bar charity known as ‘Buy Ben a Beer’. Richard tells us about his upcoming Chinatown Tasting plates get tickets here. & A new cafe opens up on W4th Cafe Lokal Plus get your tickets to the Family matters Pop-up. This week we talk the BC Beer Awards. Richard’s upcoming Food talks. We check out a few Pizza joints in Gastown. Plus we profile new restaurants including Olive & Ruby,Three Quarters Full, and Cacao. This week we feature new restaurants including Breakfast Table and we chat about their coffee collaboration with Milano Roasters, and the Heritage Asian Eatery and their BAO. This week we chat about the new Korean Dessert Cafe Passion8 on Cambie. We talk Strudel with Klaus from Klaus’s Kaffee Haus in Chinatown. 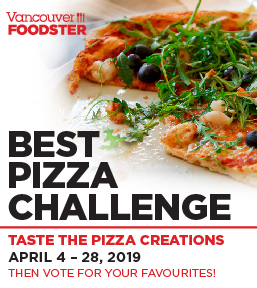 Plus the Vancouver Foodster Spaghetti Challenge. This week we talk Trump-themed cocktails at the Vancouver Improv Centre, Places to eat this Thanksgiving. 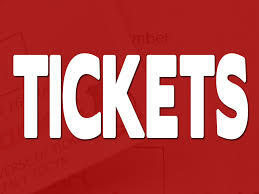 plus new places to eat including Vegetarian Workshop cafe, Wishing Treats, Fable Diner & Salchicha on Granville. This week Richard & Drex chat about two new openings, a new Ice Cream place in Kerrisdale called MagiCream. And a new Trees Coffee location in the South Granville area of Vancouver with 9 types of Cheesecake. This week we talk more about the new Vancouver food craze known as Poke, we take a look at the Poke place known as Pokeritto, we go inside The Pie Shoppe with Richard to talk ice cream & pumpkins, we also talk about Virtuous Pie has vegas pizza on offer with their own housemade vegan cheese.